What's Up Wednesday is a weekly meme hosted by my ever-so-lovely YA writer friends, Jaime Morrow and Erin L. Funk. The idea? Well, it's a great opportunity to touch base once a week with all of our blog friends and let them know what's up. Should you wish to join, head on over to Jaime's blog and sign up with the link widget at the bottom of her post! 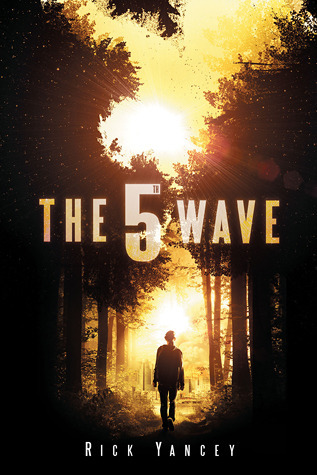 THE 5TH WAVE by Rick Yancey - and holy @!#$! am I loving this one! Just started it Sunday night and managed to polish off more than half the book in just a few hours! As well, while I'm on the elliptical, I'm reading Abbi Glines CEASELESS - and so far, it's a great wrap up to a fun to read series! Still cracking away at the final pages of my first draft of WHERE THE WATER FALLS. I'm so close to being finished, I can see the light! But...other projects have kept me busy as of late, so I haven't had the chance to finish off that last chapter just yet. However, I brainstormed around it yesterday and think I know how I want it all to end. I've got two different thoughts in my head, so worst case, I write both two chapter endings and see which one sticks! The great friends I've made in the writing community. And no, I promise, I haven't been drinking. It honestly amazes me how many wonderful people I've met since I started down the path of this crazy adventure and decided to write seriously - almost six years ago. Critique partners that have become more than just a CP, but also fantastic friends: Bridgid Gallagher, Heidi Sinnett, Kris F. Oliver, and more recently, Sara Biren - I'm talking about all of YOU! There are days when I don't know what I would've done without all of these great people. And considering how this year started out, each one kept me sane, when it would've been so easy to find myself fighting the restraints of one of those fancy white jackets with all the brass buckles. Thankfully, I know without a doubt, they'd never let me be alone in a cell of any kind - padded or cinder block! Let's just say I solemnly swear that WE are up to no good! We're brewing up something spectacular and it's a pleasure to work with such talent. And I can't wait to share all of the goodness with the rest of the world! But I will say, I'm VERY MUCH LOOKING FORWARD TO TODAY!!! SO, HOW'S YOUR WEDNESDAY SHAPING UP? WOULD LOVE TO HEAR ALL ABOUT IT, SO WON'T YOU JOIN TODAY'S WHAT'S UP WEDNESDAY?? ?